An important concern for many active and retired members is how Social Security benefits might be impacted by receipt of a retirement allowance from the Dukes County Contributory Retirement System. 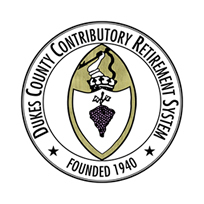 Members should know that receipt of a retirement allowance from Dukes County Contributory Retirement System may reduce or eliminate Social Security benefits. However, a member’s Dukes County Contributory retirement allowance will not be reduced by the receipt of Social Security benefits, or any other pension a member may be receiving. As members’ individual circumstances vary, you should contact the Social Security Administration directly for information regarding your Social Security benefits. We strongly encourage our members to go online and create an online account with the Social Security Administration. If you are not able to set up an online account or prefer to speak to someone in person, you can contact the Falmouth Social Security Office. The Massachusetts Association for Contributory Retirement Systems (MACRS) was established in 1937. It is incorporated as an independent nonprofit organization designed to promote the rights and benefits of the membership, present or future, for the public retirement systems of the Commonwealth. They also strive to uphold the public interest in the proper administration of contributory retirement systems pursuant to Massachusetts General Law Chapter 32. Mass Retirees has been serving retired Massachusetts public employees since 1968. The Association is largely recognized as one of the strongest independent advocacy groups on Beacon Hill. On behalf of all Massachusetts retired public employees, Mass Retirees advocates for issues relating to public pensions, health insurance, the Social Security Windfall Elimination Provision, Government Pension Offset and Medicare. The Cape Cod Municipal Health Group is a group of 53 towns and districts across the Cape & Islands who have joined together to provide self-insured health plans for their eligible employees. A self-insured group health plan means the employers participating in the CCMHG assume the financial risk for providing health care benefits to their employees. In practical terms, being self-insured means that CCMHG pays for each out of pocket claim as they are incurred instead of paying a fixed premium to an insurance carrier, which is known as a fully-insured plan. Any payments made by employees for their coverage are handled through their employers’ payroll departments. However, instead of being sent to an insurance company for premiums, the contributions are sent to CCMHG where they are kept in a tax-free trust fund until such time as claims become due and payable. Health plans offered by CCMHG are currently administered through Blue Cross Blue Shield, Harvard Pilgrim and Tufts. Dental plans are administered through Delta Dental and vision plans are administered through EyeMed Vision Care. CCMHG’s mission is to provide participating governmental employers with high quality health and dental plan options at the best possible value, to promote a Culture of Wellness throughout its membership, and to help its members become prudent consumers of health services. The MV Health & Wellness program offers health screenings, fitness programs, instructional classes and educational health lectures to members with insurance benefits provided by Cape Cod Municipal Health Group throughout the year. As a part-time, seasonal or temporary public employee in the Commonwealth of Massachusetts or of a participating Massachusetts local government employer, you may have participated in the State’s OBRA or Deferred Compensation SMART Plan. For more information about the SMART Plan, you can click here. For more specific information about funds you may have on account, please visit the Mass Smart Plan website.